Now you can easily manage and secure all of your WordPress installations from a powerful, mobile-friendly dashboard on your server. With WordPress Toolkit you may clone your site and set up a staging environment for your experiments, new features and new ideas. CloudSites will allow you to add, remove, and update plugins and themes for all of your WordPress installations without the need to log in to each account individually. Harden all of your WordPress installations using the security scanner interface. Simply check the items you wish to secure, click submit, and you’re done. Execute updates to the WP core, themes or plugins. Monitor and run all your WordPress sites from one dashboard. Stage, Clone, Sync, Update, Migrate and other complex tasks executed with one click. No more stressed-out dev teams. Hardens your site by default, further enhanced with the Joomla! View all your Joomla! instances in one place for effortless management and monitoring. Update Joomla! core, extensions and templates. Monitor performance stats of all your Joomla! Ensure you’re always getting the latest security updates and new features. Update all your Joomla! Cores and Extensions right from the dashboard. 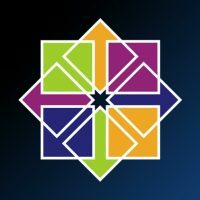 CentOS is a Linux distribution that provides a free, enterprise-class, community-supported computing platform functionally compatible with its upstream source. While the various forms of Linux all boast the same open-source functions, CentOS 7.0 is preferred for cloud use. It provides each CloudSites user with the freedom to monitor and manage the infrastructure of cloud-based websites. Accompanied with an entire community dedicated to support, CentOS 7.0 will always be stable and up-to-date. CloudSites focuses around the needs of web hosting through a cloud system. Bringing the tools that are often spread out together in a simple format. Allowing the use of tools and options on desktop-only formats of a website to come into the mobile environment for quick control. Use TD Web Services to manage all WordPress accounts through the CloudSites services, and take control of installations, applying changes, and automatic detection of installations throughout your server. Get rid of the constant monitoring that’s inevitable with manually operating everything. Prioritizing on robustness, and speed to give cloud users the fastest and most error-free environment. TD Web Services cloud leads with simplistic design, quality, and flexibility in meeting customer needs. Individualized plans and services so every cloud user can make the most of our services. TDWS Global Monitoring System will help you keep an eye of your website’s visitors and transactions. Make sure you know about hiccups and downtime of your website before your audience and customers! The Accounts on the servers are now being actively monitored across 10 Geo-locations using TDWS GMS!